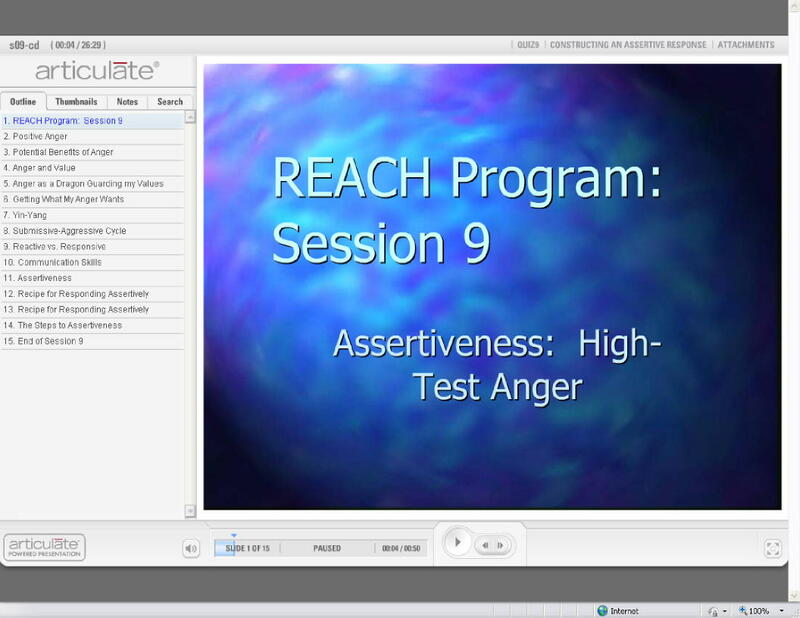 This session is devoted to training what we call "high-test anger." Anger generally wants something of value, but if I leave anger to its own devices, it often causes me to act in a way that hurts people, gets me in trouble, and goes against the very values that it is trying to produce. Assertiveness is an attempt to get what anger wants in a firm, responsible way that doesn't violate my values or the boundaries of others.